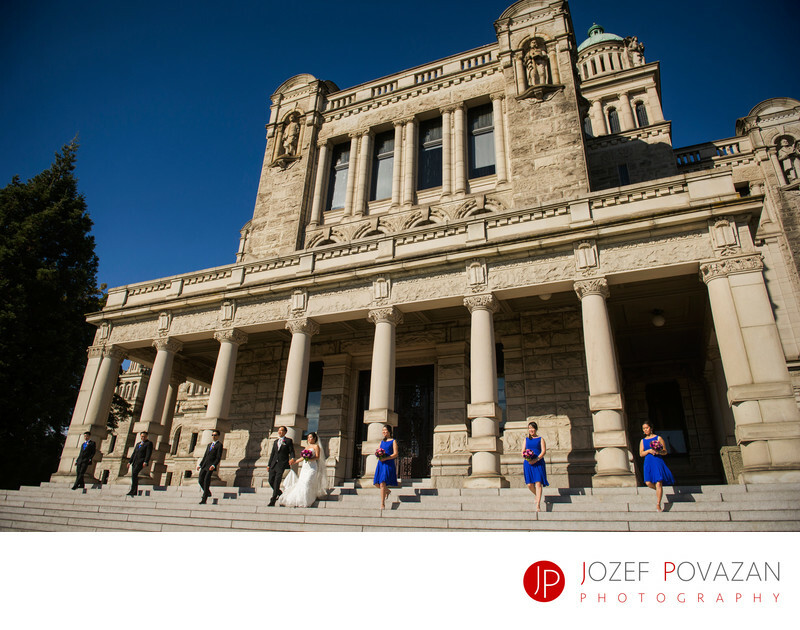 Best Vancouver Island Victoria wedding photographers - Best Vancouver wedding photographer Jozef Povazan Photography studio. Best Vancouver Island Victoria wedding photographers love to photograph at Parliament Building. Jozef Povazan created an cinematic art pieces from this day of T+J celebration at Fairmont hotel.